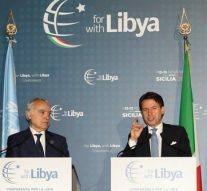 An international summit on Libya took place in Palermo on the 12th and 13th of November. The intention of the Italian Government was to play a pivotal role on the hard peaceful process running in the Northern-African country. Libya because of its position plays a key role on migrations in the Mediterranean Sea. But it is also important when it is a matter of natural resources: oil of course, but not only. Since 2011, when Mu’ammar Gheddafi have been murdered, Libya has remained in a chaos. Nowadays Libya is mainly split into two States, with two different capitals (Tripoli and Tobruk) and two central banks. In the Eastern region of Cirenaica, General Khalifa Haftar rules half of the country. The “capital” is the city of Tobruk; even if this Government is not recognised by the international community and the United Nations, it is the strongest one. However, it is supported by Egypt, Russia and Emirates. On the other hand, in the West, the “official” government of Libya has Fayez al-Sarraj as President: besides having the support of the UN it is also backed by Turkey, Qatar and the Muslim Brotherhood. The Libyan mosaic is complex, indeed we can see other two important actors. In the Southern-West region of the country there are two biggest and most powerful tribes/militias: Tuareg and Tebu. Moreover, especially in the South, there are many jihadist militias fighting against each and the major players. Macron tried (and failed) with a conference held in Paris in May to put in place a roadmap to get elections in Libya at the end of 2018. This time Italy has tried to rebuilt its influence in the Southern-Mediterranean country, trying to bring at the same table the two main counterparts. Many said that the conference was unsuccessful. Others said the contrary. If, on one hand, there was no common declaration signed by all the participants, on the other hand, Palermo’s conference reached enough consensus to settle a new conference in Libya at the beginning of 2019 to get new elections in spring. Is this a success? If it will be or not, anyway now it is too early. If the Libyan actors and their own allies will keep their promises on this new little roadmap, we will say that this conference was a milestone about a peace process that currently look like in stalemate. However, it will be considered just as a failed attempt from Italy to get back its influence on the country.